Welactin is a rich source of omega-3 fatty acids derived from cold water fish. 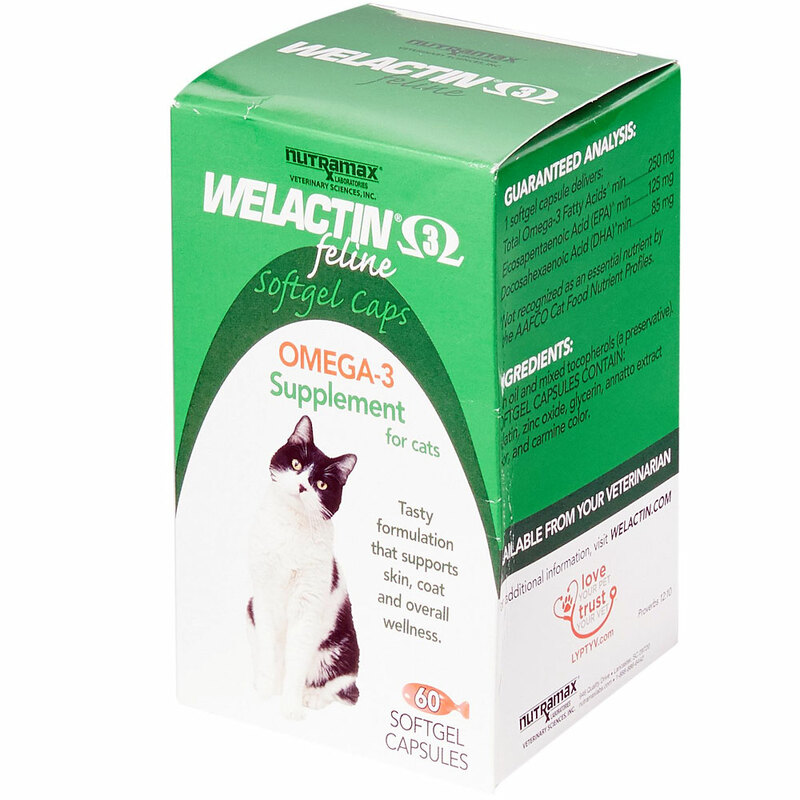 Welactin is formulated to deliver substantial levels of EPA (eicosapentaenoic acid) and DHA (docosahexaenoic acid) to cats. DHA and EPA have been identified as healthy fatty acids. Convenient formulations available - either softgel caps or bottle with pump for easy dispensing. Tasty formulation for skin/coat health and overall wellness! Fish oil and mixed tocopherols (a preservative). SOFTGEL CAPSILES CONTAIN: Gelatin, zinc oxide, glycerin, annatto extract color, and carmine color. Give contents of one softgel capsule daily or as directed by your veterinarian. Feed contents only do not feed gelatin capsule to your cat. Twist or clip end of cap to open and squeeze contents directly onto the cat's food.